Shellac is the first hybrid nail colour product it goes on like polish, cures like gel and last up to 14 days with ZERO dry time. Shellac can be applied to both finger and toe nails and Rockstar nails can also be incorporated. For fingers and toes that Bling !!! Glitter set in uv gel to create a stunning look that really makes your nails sparkle. 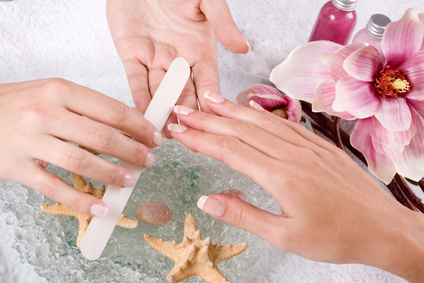 This treatment can be applied to both natural nails and nail extensions.